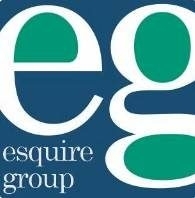 Esquire Group is a boutique international tax advisory firm working with both corporate and individual clients and helps them in tax planning and structuring. We have offices in Las Vegas, Phoenix, Vienna, Frankfurt and UAE. With insured offices working in different time zones, staff that communicate in many languages, both security and privacy promised to clients and possessing newest technologies, we are direct employees seeking and gaining information. We deal with a core clientele consisting of US businesses with foreign assets/operations, foreign businesses investing/doing business in the US, foreign businesses owned by US citizens, US citizens with foreign assets or income, US citizens residing abroad, foreigners having income/assets in the US. We offer various services like tax consulting, expatriation, tax preparation, dealing with reported foreign income or assets, tax problem resolution, asset protection, entity services, foreign investment in US real estate, etc. We as a firm have skilled professionals like accountants, consulting attorneys, bookkeepers, international and domestic tax experts, and many more experienced staff in the similar field. Individuals and corporations can obtain information on enquiries related to tax consulting, pre- immigration planning, transfer pricing and so on.